H and I always browse the catalogs that arrive in the mail. 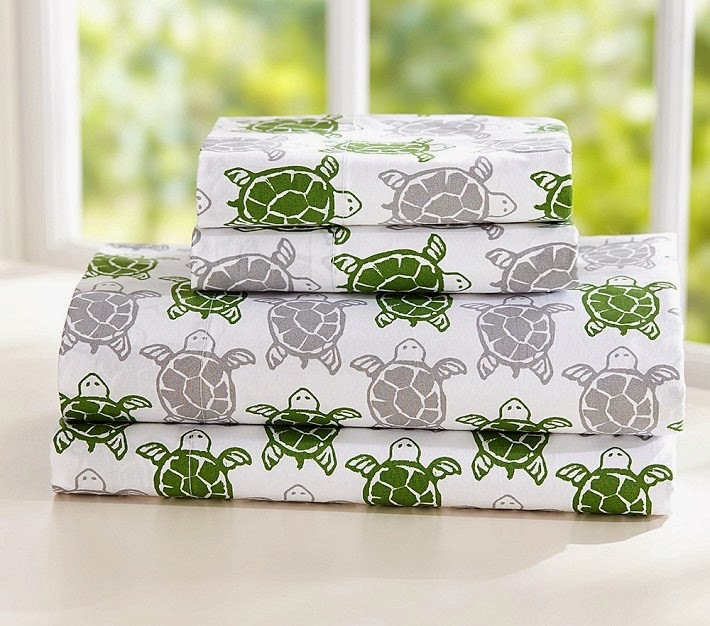 I think Pottery Barn Kids is our favorite. He loves finding elephants and I look for anything nautical. 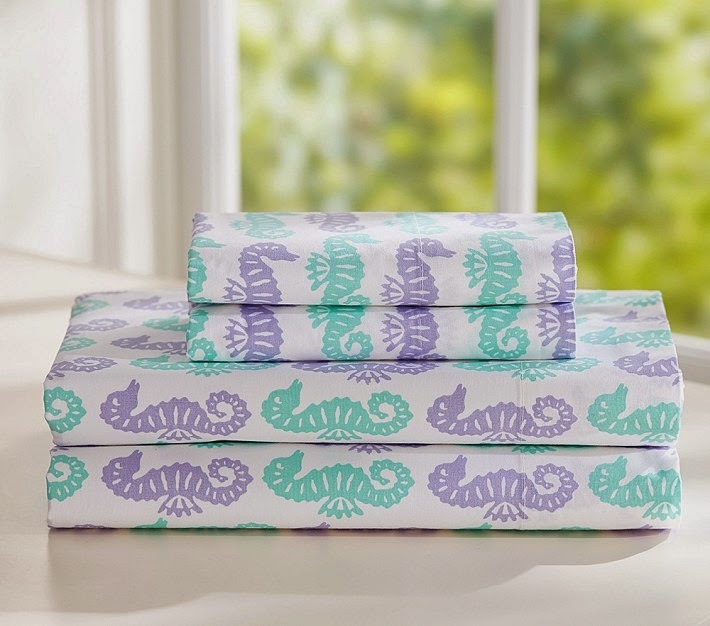 I saw the seahorse sheets below and made a note to check the website for other patterns when I got home. 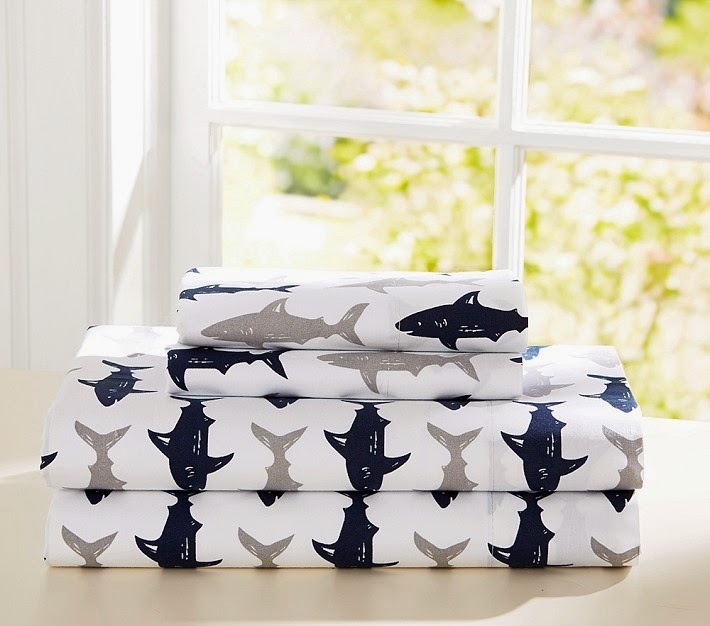 Mermaids, turtles, and sharks oh my! 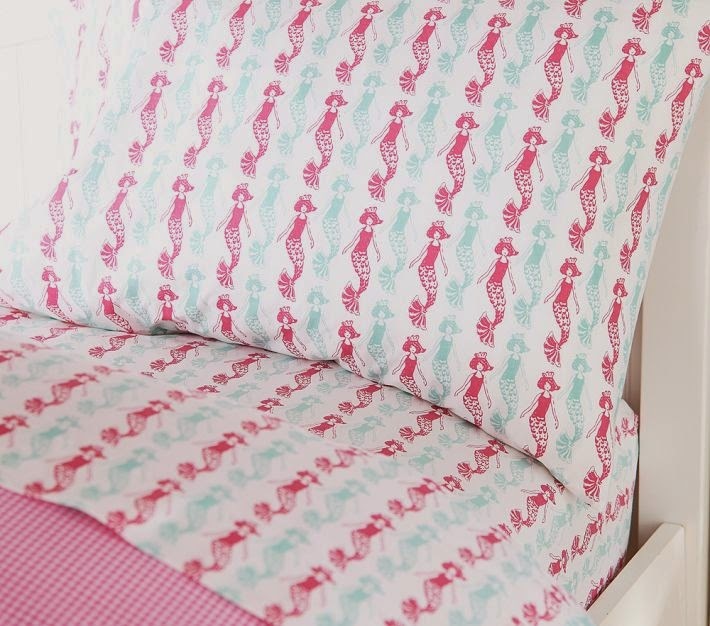 That seahorse bedding is so cute, love it! I just love the colors of that print. Perfect for spring and summer! 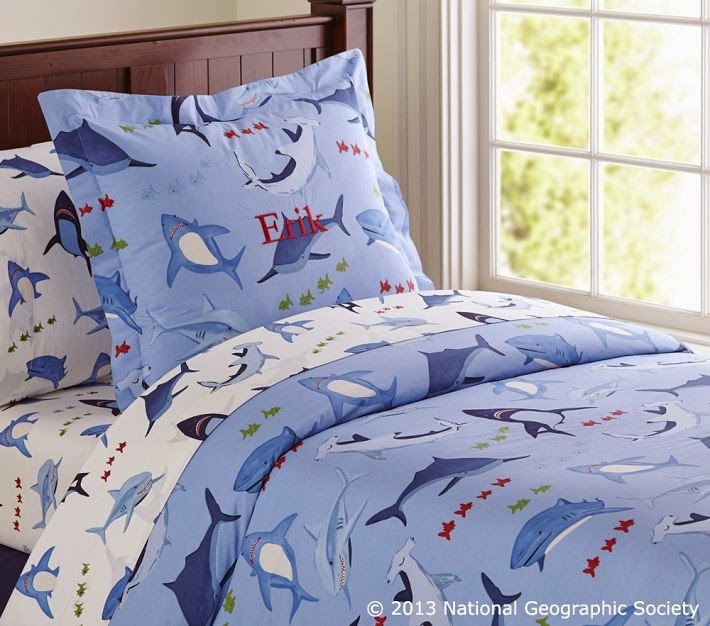 Oh, that shark bedding!!! Nolan would freak out. Isn't it fun? They have matching backpacks and lunchboxes too! Those sets are so beautiful! Pottery Barn always has the best stuff! 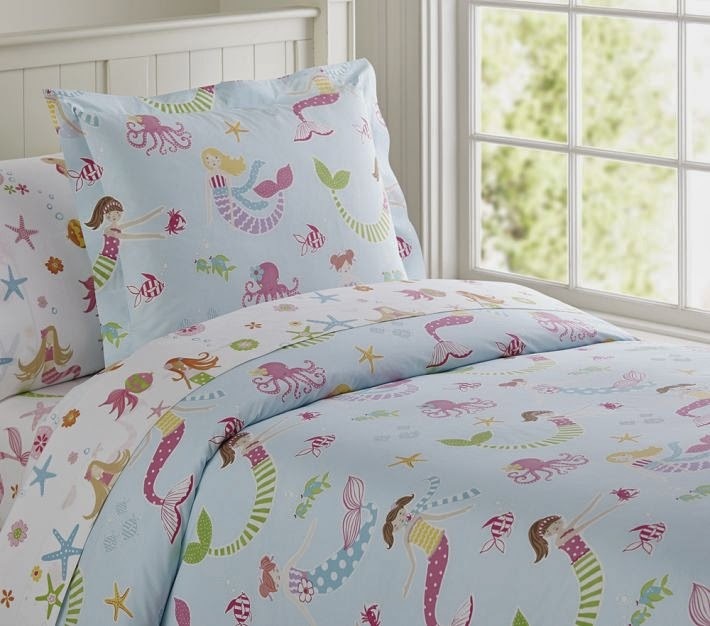 I want them all, especially the seahorse ones! 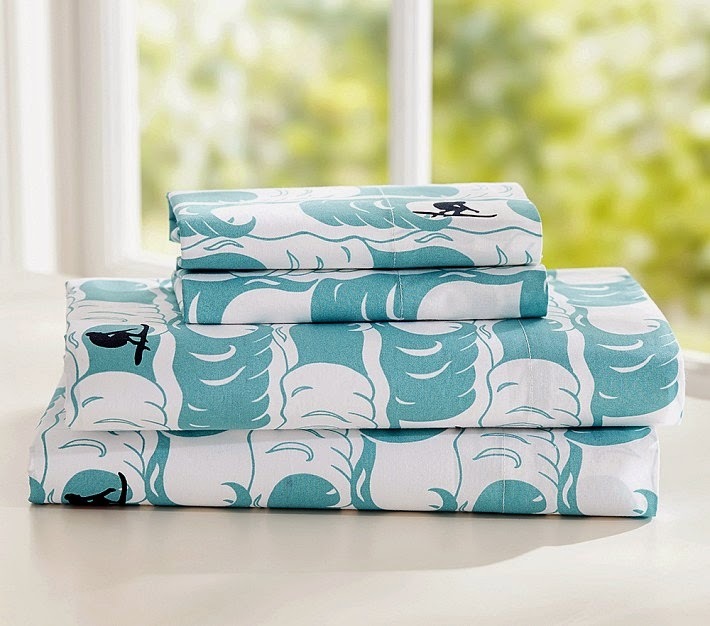 Is it wrong that I want these printed sheets for myself? I love the pbkids/teen catalogs! Did you see they have nautical totes too? Not wrong at all! 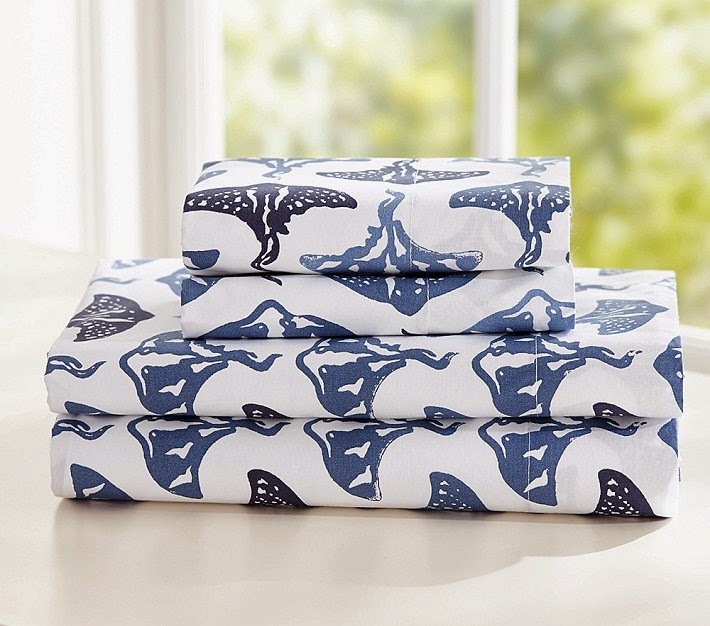 My sheets are from Pottery Barn Teen!